Stepping into the world of parenthood is a difficult decision to make. But, now that you have decided, the chances are that you’re taking a pregnancy test every month and waiting for the result to be positive. The process of conceiving a baby is not so simple. It involves a lot of planning and religiously tracking the woman’s fertility window.If you’re still clueless of what a fertility window means, fret not! We’re here to help you with that. For the world, pregnancy starts with a positive result on a , but for a mother, it starts way before that. The most obvious signs like morning sickness and nausea don’t show up until 7-8 weeks. However, there are few signs that are as accurate but go unnoticed by most of the expecting mothers. As soon as the news of early pregnancy symptoms starts popping, people start buzzing in the mother’s life with their advices and stories, most of which you should ignore. But, if the scary story of how one of your distant relative had a serious complication has stuck inside your head then, let us clear it for once and for all. 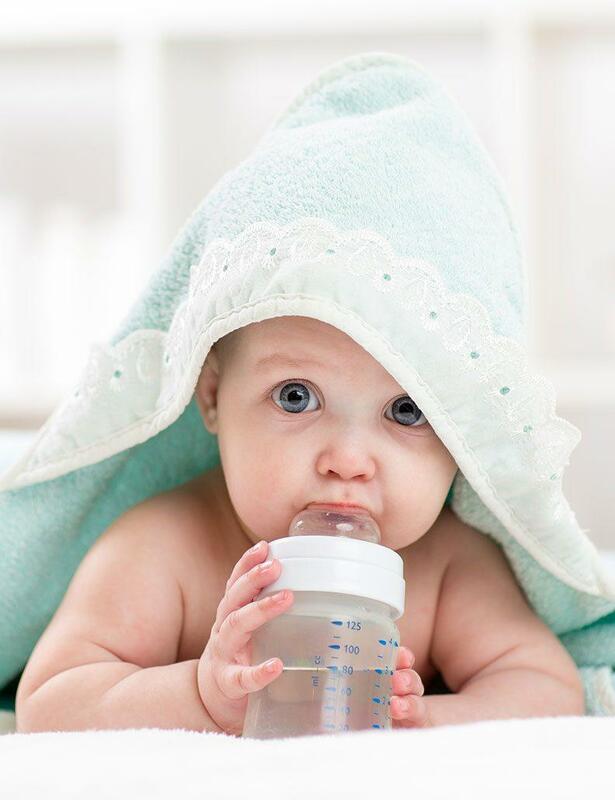 Babies love to drink, they are perpetually thirsty and always want loads of nutrition. It takes a long enough time before their little tummies can process solid or even semi-solid food. Understanding that to give your baby to drink during this crucial time is a huge part of pregnancy care. Babies love their sleep but they hate it when their sleepy time is disturbed by elements that are out of their control. Lucky for them, they have you to prevent this from happening. There are many ways you can help your little bundle of joy take a quiet, pleasant nap without attracting unwanted grumpiness. Being a Mother is the most beautiful feeling as well as the most tiring one. We understand that sometimes it can get a bit tedious to handle but never giving up should be a mother’s motto. To make this journey of motherhood a tad bit easier, we bring to you a couple of reasons why your baby might be crying and how to stop it. Ask any mother and she’ll attest to how difficult the mealtime battles with the kids are. The response to any kind of junk food will always be a loud and exciting “Yes!” while the reaction to healthy food will probably be a shake of the head or a full-blown tantrum. Let’s get this out of the way – Pregnancy isn’t a joke. It takes a toll on expecting mothers and if you don’t follow the correct kind of pregnancy tips or read up about pregnancy care, you will have a tough time keeping up with the various changes that your body goes through leaving you tired, haggard and looking old. Sooner or later you will come to know that babies run on a different clock than adults. A typical new born wakes up almost every three hours, which is when it needs to be fed, changed and comforted. It is highly likely that sheer exhaustion can take over within a matter of weeks. Although a solid eight-hour sleep isn’t possible in the first few months, few suggestions can help you get more rest. Instead of spending money on pre-packaged baby food, you can opt for these easy to make wholesome baby food recipes. These are easy, efficient and economical and you can use fresh produce, grains and meat that you have at hand. Best of all, you know exactly what you are feeding your little darling. Always remember that this is as important your pregnancy diet. Massages are an integral part of baby care, they can be as important as your pregnancy diet. Regular massaging helps in the development of the baby’s limbs and proper flow of blood to all the parts of the baby’s body. Massaging should be started within 10-15 days of the baby’s birth. Branded oils should be avoided as much as possible and the purest oils should be used. Currently, a wide range of baby massage oils are available in the market and you can have your pick. You must choose the oil that is best for your baby. Along with all the other important pregnancy tips, you’ll get here, using the perfect massage oil is right up there with all the other important tips. Every parent understands that fruits are a healthy addition to every child’s diet. Only if our children understood that, it would be a great boon. But it isn’t always simple to get your kid to chomp down on fruits. You may have followed a pregnancy diet wherein they got the lovely nourishment while they were inside you but now the story is a bit different. The festival of colours and joy is around the corner and just like your child, you are excited about it too. Holi not only brings togetherness and happiness but also channels up the excitement level. Amidst the colours, ‘Gulal’, water, dancing…. there is loads of fun to be had. But you shouldn’t forget that any festival can be a bit unsafe for your children if not kept under check. Keeping this in mind, Prega News have listed down the top 5 ways which will help your little bundle of joy have a happy and safe Holi. Long, luscious hair is what every woman dreams of. Pregnancy on the other hand does have a tendency to leave a bit of negativity during this period. From hair falling out to weak locks, pregnancy can take its toll on your hair. But Prega News, India’s best pregnancy test, is here to turn the tables around. Growing a baby in your tummy is a BIG responsibility. But, when the baby arrives in your life then this responsibility only doubles. Many people believe that bullying is a rite of passage that everyone has to go through. Unfortunately, many do not realize that this sort of thinking might have implications that can scar your child for life. Kids nowadays seem to know more about iPhones and PS4s than “chor-police” and “pitthu”. The rise of technology, while making our lives extremely easy, has also given rise to a generation that prefers spending times indoor than outside. This can have many problems, including health and social problems. Many parents while spending nights worrying about how to protect their children from violence and injuries, tend to overlook one of the biggest threats to their children’s safety – their own home. Studies have shown that kids between the ages of 1 and 4 are more likely to be harmed by burns, choking, drowning, falls or poison indoors than by violence. A mother’s duty might begin by simply choosing the perfect pregnancy kit but it gets even more hectic as time goes on. Choosing the perfect crèche or daycare centre for your baby that involves prioritizing your requirements, researching good crèches in your locality, being aware and observant are all important things a mother should do. An ideal crèche should be home away from home. 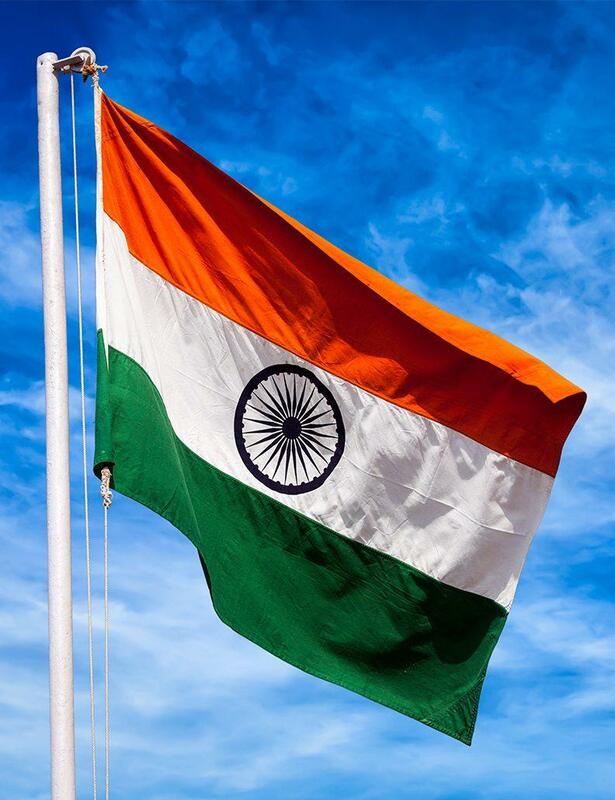 India will celebrate her 67th Republic Day on 26th of January 2016. This is the perfect opportunity for you to bond with your child and instill a sense of patriotism in him/her. Many might think of the Republic Day as just a national holiday, but it is up to you imprint a sense of pride of for this great nation in you kids and to mold them into responsible citizens. Parenting skills are generally learnt from our own caregivers or through our experiences and observations during our childhood. This process is called “role modelling”. In most cases the role model is a mother or a father or both, but in many cases, the role model could be a grandparent, foster parent, family friend or any other guardian. Throughout these early life experiences, most parents learn healthy and adaptive ways of raising the child. However, for some, it’s a challenge as their own upbringing has gone through some dysfunctional issues like violence, abuse, negligence or other forms which disturbs and restrict their ability to parent. India will celebrate her 70th Independence Day on August 15, 2016. Today’s kids hardly know much about our Independence and the struggle our people went through to attain it. However, you can use this Independence Day as the perfect opportunity to bond with your child while imparting knowledge in fun ways and prepare your kid to be a responsible citizen for the future of India. When the results of your pregnancy test comes positive, you begin a journey that’ll last a lifetime. One of the most important things in the infant stage of your journey is deciding how to decorate your baby’s nursery. Your baby’s bedroom needs to be as functional as it is fabulous. All it needs is a little hard-work, some creativity & out-of-the-box thinking!